Our site offers you the opportunity to learn more about King Ranch & Arena, founded in 1964. If you have comments or questions, let us know by clicking Contact Us. Thank you for visiting and check back often for updated information. Moving pairs to new pasture. Riding drag is a dusty job!!! Our ranch is located 11 miles south of Coulee City and if you look up while traveling along the lakes on Hwy 17. Usually, livestock can be seen from the Hwy as well. 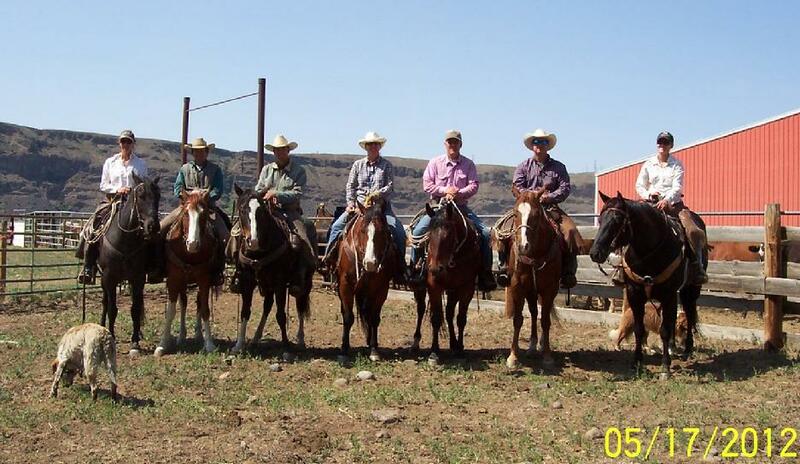 We have been raising AQHA horses since 1964. 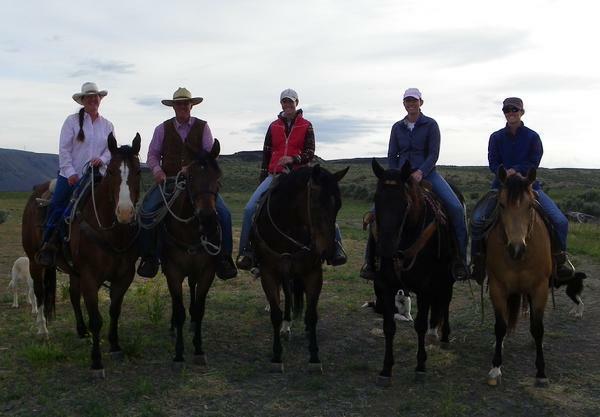 AQHA has developed a Ranching Heritage Breeder Referral Program for breeders that use their horses primarily for ranch work, been an AQHA breeder that has received their 10 year breeder award and have at least five mares that are used to produce the remuda. 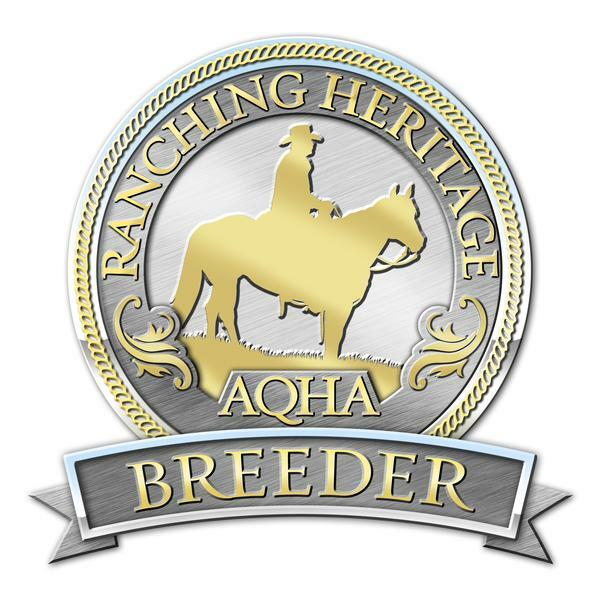 We were approved in 2014 as a Ranching Heritage Breeder. AQHA has developed a program designed to bring horse buyers together with reputable American Quarter Horse Owners and breeders. We were approved in 2001 to the Breeder Referral Program. Members must agree to uphold high standards and a written code of ethics before being named to this select group. 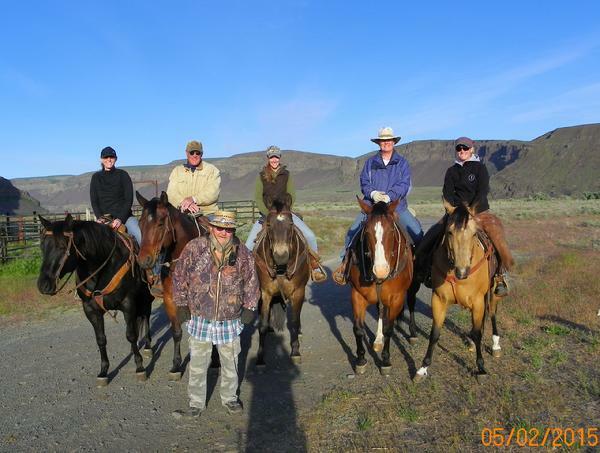 Our horses and cattle are born and raised in the rocks, bluffs and sagebrush of the Coulee. They survive on bunch grass and get water from lakes and springs. This natural environment allows them to be strong, healthy and know how to survive in this rough terrain. Our horses are raised naturally! We don't confine them and pour the feed to them to get early size. This insures strong lasting bones that will give our horses a long productive life. The weanlings are rounded up, weaned and halter broke, then turned back out into the rocks. As 2 year olds, they are rounded up again and started. We will work hard to match you with a horse that suits you. Honesty, integrity and credibility is what sets us apart.